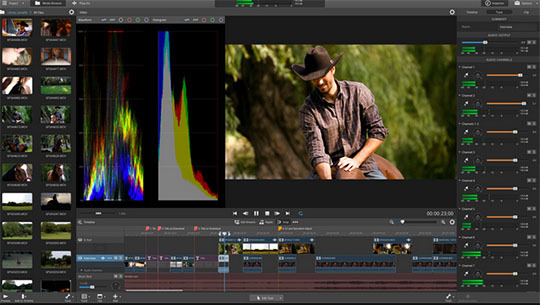 Sony’s Catalyst Production Suite is a brand new editing suite created from the ground up. It’s entirely different from Sony Vegas. 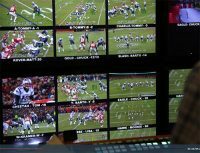 This one is cross-platform – Mac and Windows and is designed to work with the Sony cameras that shoot RAW 4K, HD, or XAVC format. But it’s not just for Sony cameras. Catalyst also works with different formats including Blackmagic, Canon and GoPro, S-Log clips, and more. Catalyst Suite includes two main parts – Catalyst Edit and Catalyst Prepare. 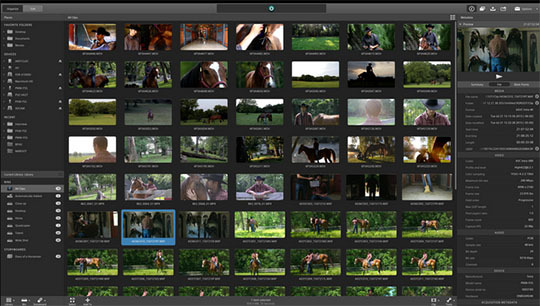 Catalyst Prepare helps you get your footage off the camera, deck or card-reader. Prepare has a clean and simple interface that is intuitive. It is also touch enabled and supports gesture control. The interface has four sections: Import, Organize, Edit, and Export. Non-Linear editors that are supported include Sony Vegas Pro, AVID Media Composer, Adobe Premiere Pro, Final Cut Pro, and DaVinci Resolve. Catalyst Prepare also includes stretch modes for viewing anamorphic footage. Sony Pro cameras offer high dynamic range and color options. That’s why Sony Prepare is designed to work multiple color spaces and apply LUTs (Look Up Tables) to S-Log footage. Catalyst Edit is also cross platform. The user interface and the features are identical on both platforms. So you could start a project on Windows and take the files to a Mac and pick up the editing where you left off. Sony RAW 4K, Sony RAW 2K, XAVC Long, XAVC Intra, XAVC S, XDCAM 422, XDCAM SR (SStP), DNxHD, ProRes (OS X), AVC H.264/MPEG-4, AVCHD, HDV, DV, XDCAM MPEG IMX, JPEG, PNG, WAV, and MP3. The Catalyst Suite was not designed to replace Vegas Pro. Catalyst doesn’t come preloaded with all of the extras like Vegas. It does, however, take advantage of OpenFX, an open standard for 2D visual effects or compositing plug-ins. This allows plug-ins written to the standard to work on any application that supports the standard. So this gives Catalyst additional transitions and effects and exports. Catalyst Edit can handle all the audio tracks created by high end cameras. You may want to download the User’s Manual because there is no tutorial. And some of the techniques are unique to Sony video. Adobe and Apple editors will have to learn some new tricks. Clips can be have in and out points applied by clicking and scrubbing or using “I” and “O” on the keyboard. Just drag and drop the clips into the timeline and start editing. Transitions can be made simply just by dragging and dropping the transition between the clips exactly the same as Sony Vegas. To make a dissolve, just drag the clip to overlap the previous clip. An inspector window allows precise control.